On Sunday, March 21, hackers in China broke into my Google Gmail account and gained access to my entire contact list. I regret to report that my contacts -- including many of you who subscribe to The 'Skeeter Bites Report -- have received numerous spam e-mails from China as a result of the break-in. That my Gmail account was hacked -- a direct consequence, I believe, of the ongoing war between Google Inc. and the Chinese government over censorship of the company's mainland China search engine -- not only compromised my Gmail account, but also threatened to compromise the security of the home site of The 'Skeeter Bites Report, which is hosted by Google-owned Blogger.com -- and with it, the site's subscriber lists, which forced me to immediately suspend publication. With my Gmail account now corrupted, I have, needless to say, been forced to implement several measures to protect my subscribers from further unwanted spam e-mails -- and worse. These security measures will make it necessary to keep The 'SBR on hiatus for at least another week. I hope to resume normal publication on Monday, April 5. I am far from alone. Numerous human-rights advocates and foreign journalists working in China have also seen their Gmail accounts hit by hackers. In the wake of Google's decision to shut down its China search engine and re-route its mainland Chinese users to its uncensored Hong Kong server, there will, in all probability, be more hacker attacks on Google itself and on Google-owned Web sites such as YouTube and Blogger (Although both are banned in China). Why I was targeted by the hackers -- even though The 'Skeeter Bites Report is based half a world away from China and I've never once set foot in the country -- remains a mystery. The only possible reason that I can fathom is an article I posted last July on the bloody ethnic riots in Xinjiang Province that pit the region's Muslim Uyghurs against the dominant ethnic Han Chinese. 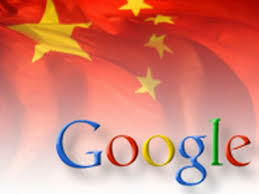 The feud between the Beijing government and Google is already having ripple effects. The world's largest Web domain-name registrar, GoDaddy.com, announced Wednesday that it will no longer register Chinese Web site domains in protest of new requirements imposed by Beijing that require applicants to provide extensive personal data, including photographs of themselves. GoDaddy -- where The 'Skeeter Bites Report's domain name is registered -- says that the new requirements are part of a decision by the ruling Communist Party to tighten the government's surveillance of Web site content to crack down on dissidents. The company decided to pull out of China rather than put individuals and organizations in that country at risk. Will Chinese hackers hit GoDaddy too? Only time will tell. For the first time in the more than four years since I launched The 'Skeeter Bites Report, I have been forced to miss a Monday deadline and not publish. I regret to announce that due to a security breach at Google's Gmail service (Google is the parent company of my blog host, Blogger), I have been forced to temporarily suspend publication. Hackers broke into the Gmail server and stole the entire contact lists of millions of Gmail users, including Yours Truly. This has resulted in everyone on my Gmail list -- including many subscribers of The 'SBR -- receiving very unwanted spam e-mail, with my Gmail address as the sender. The Associated Press reported Thursday that its correspondents -- and reporters for other foreign media working in China -- have seen their Gmail accounts hacked. I can only speculate that I became a target of the hackers -- even though I operate in the U.S. from my home in Vermont -- because of an article I posed on The 'SBR last July on the bloody riots in Xinjiang Province. Apparently, somebody in China didn't like what I posted. The bottom line is, as a direct result of this hack, not only has the security of my Gmail account been compromised, but likewise the security of my blog, as it is a Google-hosted site. Because of this security breach, I have no alternative but to suspend publication of The 'Skeeter Bites Report until further notice, in order to protect my sources and subscribers. Hopefully, the suspension won't be for long.